Alfredo sauce doesn’t have to be full of butter, cream and cheese. This lightened up version is perfect for keeping those New Year’s resolutions. 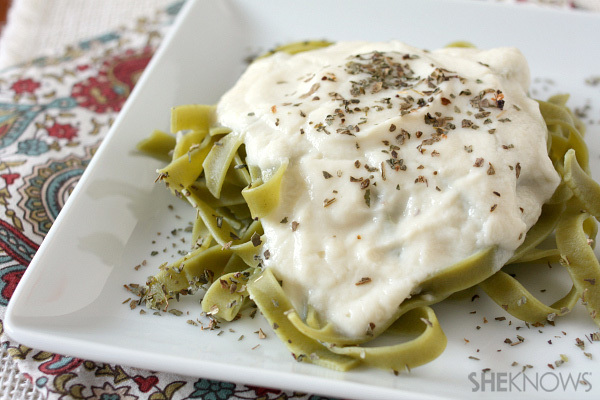 Alfredo sauce is creamy, cheesy and full of fat. This version gives you all of those qualities without the fat. 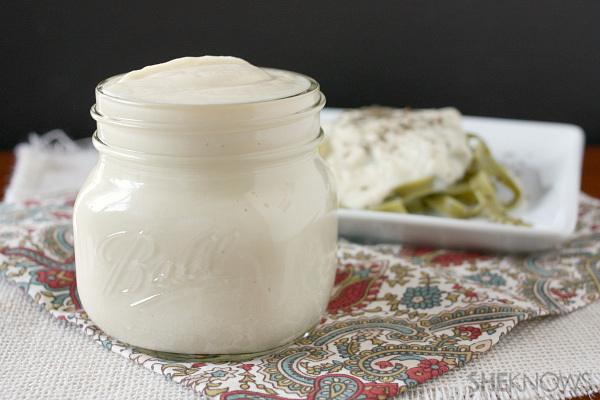 We used cauliflower to create a silky smooth and creamy sauce that is perfect on top of pasta, pizza or any recipes calling for traditional Alfredo sauce. In a large pot, add cauliflower florets and vegetable stock. Bring to a boil and cook till fork tender. Once tender, scoop out cauliflower and add to a high-powered blender (we used a Vitamix). Add 1 cup of the vegetable stock (that you cooked your cauliflower in), salt, pepper, garlic, milk, Parmesan cheese and olive oil. Puree on high until smooth. If the sauce seems too thick, simply add a little more stock or milk. Serve over pasta if desired.